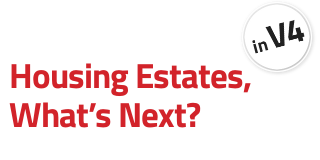 News | Housing estates, what next? International conference organization starts up! On 13th and 14th November you will meet professionals in urban field from France, Germany and Netherlands and learn more about housing estates renewal in European context. We’ll keep informing you about the progress. Meanwhile, you can visit our updated photo albums of past events and design studio exhibition. Hereby we congratulate students for their great job! 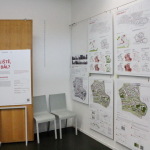 A design studio exhibition took place at the Faculty of architecture CTU in past days. Under the supervision of Michal Kohout, David Tichý and Filip Tittl, students proposed design strategies for selected housing estates from Czech cities. The exhibition also included public presentation of case analysis with participation of municipalities representatives. Future of housing estates is on the Healthy Cities Summer School programme. David Tichý and Filip Tittl will introduce the specifics and basic principles of housing estates renewal projects during lectures and a workshop. We kindly invite you to the last lecture of our Lecture Series. Ivan Plicka, architect and urbanist, will introduce his numerous experiences with attempts to the “Southern City” urban renewal. The lecture will take place at the Faculty of Architecture CTU on Thursday, 22nd May 2014 at 6:30 PM. The dean of the Faculty of Architecture CTU professor Ladislav Lábus and associate professor Michal Kohout discussed the housing estates urban renewal topic in Critical Club on the Czech Radio.